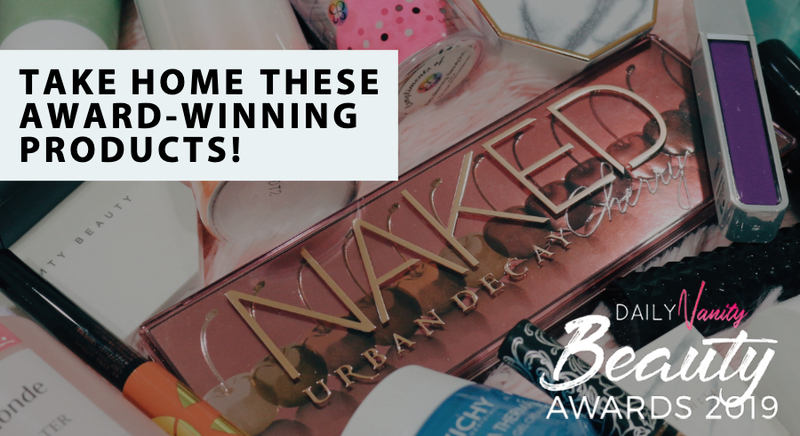 Get into the beauty loop this month to know what’s new, what’s exciting and what’s coming up! 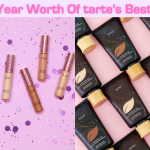 Among these new launches, we’re seeing spring and summer vibes in the makeup and luxurious formulas for skincare releases. 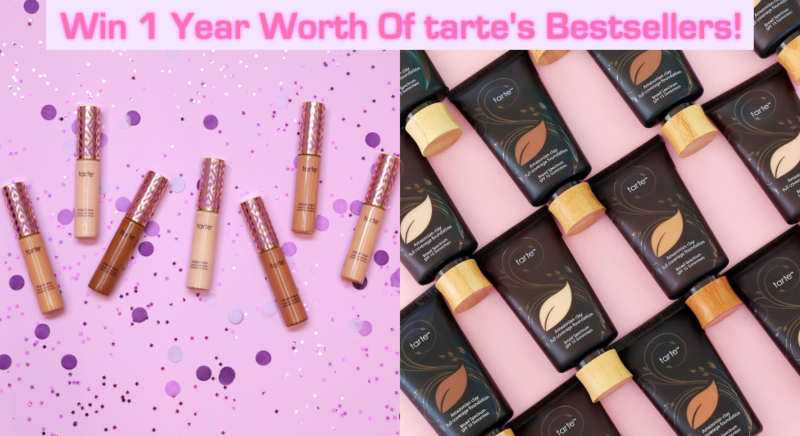 If you don’t know where to start yet, read on and be ready to bookmark one (or even all) of these new products into your shopping list. 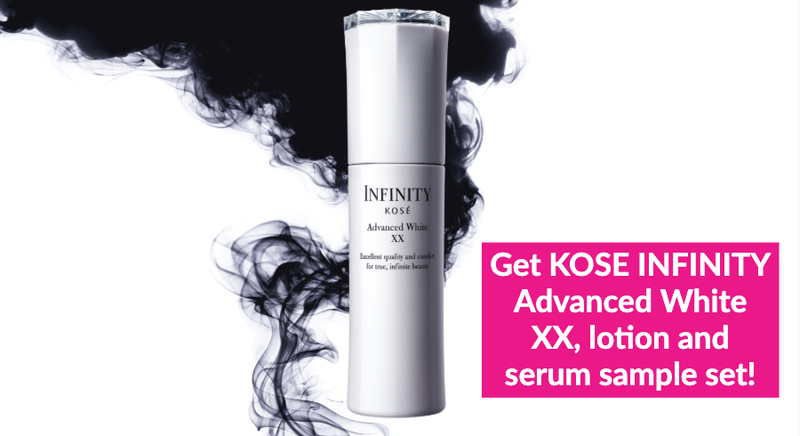 You can now get your hands on an exclusive set that features all three best sellers from Sulwhasoo’s First Care ginseng line – the First Care Activating Serum EX Capturing Moment, Concentrated Ginseng Renewing Water, and Concentrated Ginseng Renewing Emulsion. Ginseng is at the heart of this collection of products. The traditional Korean ingredient is known for numerous beneficial properties for health and its ability to penetrate deeply into the skin for a healthy and radiant complexion. 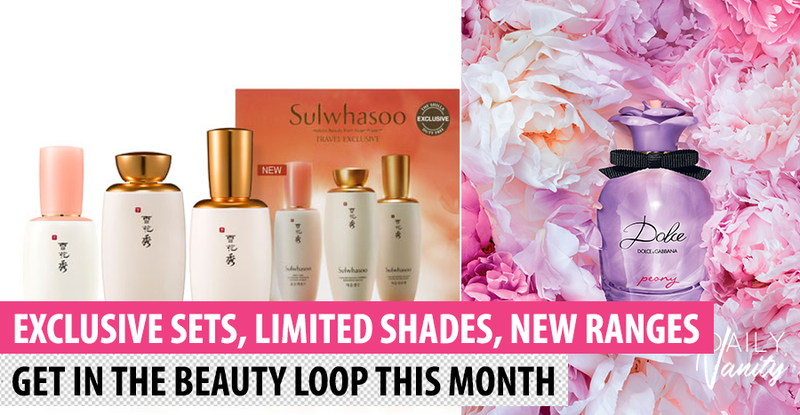 Sulwhasoo First Care Capturing Moment & Concentrated Ginseng Skincare set retails at SGD256 and for the first time, it’s exclusively available at The Shilla Duty Free Singapore Changi Airport and other The Shilla Duty Free Asia Pacific stores. While stocks last. 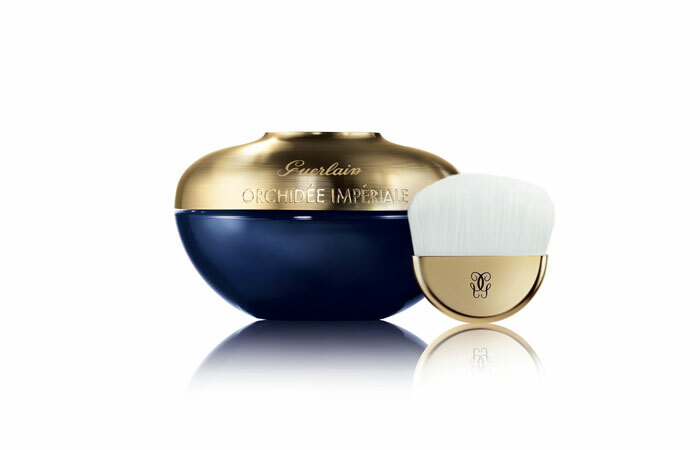 Guerlain’s latest Orchidée Impériale series is the luxury anti-ageing skincare line that you need to pamper your skin with. The three products in this series – The Emulsion, The Mask and The Neck and Décolleté Cream – all use orchid as the main ingredient that fights signs of skin ageing effectively. 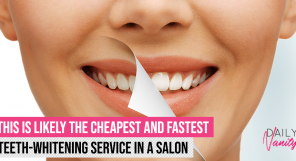 Quench thirsty skin with The Emulsion, a substitute if you think cream formula is too rich. The light and soft texture of this emulsion has the same hydration effect, or even better, than creams but doesn’t leave your skin greasy at all. Finish your skincare routine with The Mask, an overnight treatment that gives you a boost of radiance while you’re sleeping. With a dense and enveloping texture, the precious oils in The Mask replenishes all the nourishment in your tired skin and also have calming benefits. Oh, also don’t forget your neck area! Wrinkles also form at the neck as we age, and many of us tend to forget about caring for this area. The Guerlain Orchidée Impériale series comes with a luxurious neck cream, The Neck and Décolleté Cream, that calms and hydrates skin in the neck area for younger-looking skin. The Guerlain Orchidée Impériale The Emulsion (SGD492), The Mask (SGD555) and The Neck and Décolleté Cream (SGD555) will be available at Guerlain counters at TANGS Plaza, Takashimaya and Metro Paragon. People with dry and sensitive skin always have it worse when the weather gets insanely hot. You’ll have to slab on enough moisturisers and stop yourself from scratching dry areas before the condition worsens. 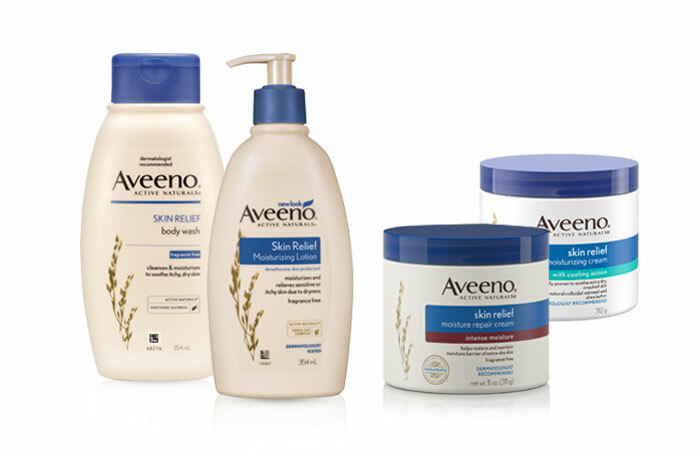 If you’re looking for products to relieve parched skin, consider the Aveeno’s signature Skin Relief range. The products in this range not only moisturise but also soothe dry and itchy skin. Made with Oat complex, the moisturiser works great for eczema or even just dry skin, because of its ability to relieve itch. 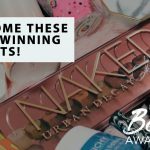 Products in this range are rich and thick, but gentle enough for sensitive skin with its soap-free, dye-free, fragrance-free, and hypoallergenic formula. The Skin Relief range includes a body wash, lotion, hand cream moisturising cream with cooling action, and an intense moisture repair cream that gives deeper moisture for extra-dry and sensitive skin. Products from The Aveeno Skin Relief range are priced between SGD13.90 and SGD24.90 and are now available at Watsons, Guardian, NTUC FairPrice, Unity, Cold Storage, Redmart, Lazada, Qoo10 and Shopee. Acne isn’t just a concern for adolescents, adults have them too. 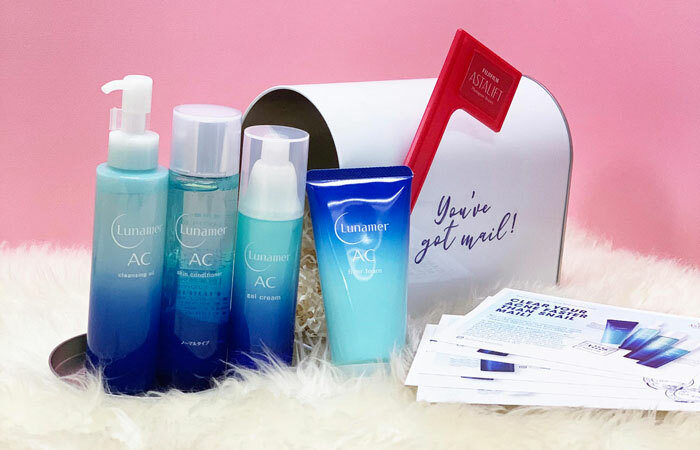 And if that’s a concern for you, you’ll be happy to know that the new Astalift Lunamer AC range is specially created for clogged, dehydrated and acne-prone adult skin. Adult acne is believed to be caused by pore blockage and dryness. To counter it, Astalift Lunamer AC range is formulated with intense moisture while inhibiting skin inflammation to calm and counter troubled skin. A full range of four products – cleansing oil, skin conditioner, fibre foam and gel cream, this collection features a refreshing orange scent and weightless finishes that leave your skin refreshed and smooth. Astalift Lunamer AC range retails from SGD31 at all Astalift stores. 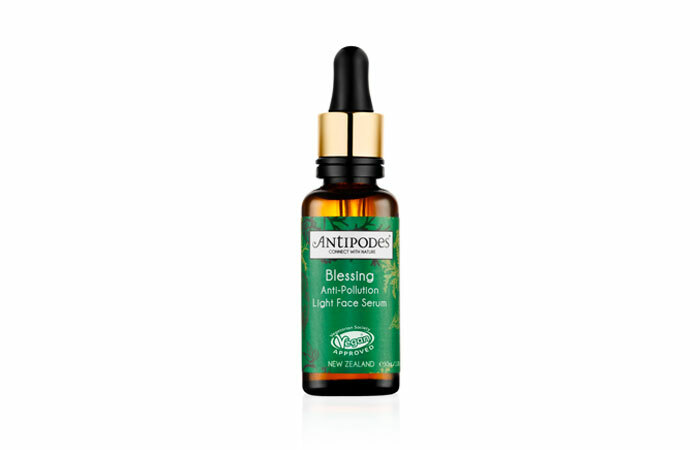 Antipodes’s latest product, the Blessing Anti-Pollution Light Face Serum, is specifically designed to protect your skin from urban pollution. Formulated with skin-loving ingredients like avocado oil and jojoba oil, this product is able to protect, strengthen and improve skin condition, and make it brighter by solving pigmentation problems. You’ll love that the pure essential oil fragrance that smells of white jasmine also calms your mind from a hectic day of work. The Blessing Anti-Pollution Light Face Serum will retail at SGD59.45 in selected Guardian stores from April. 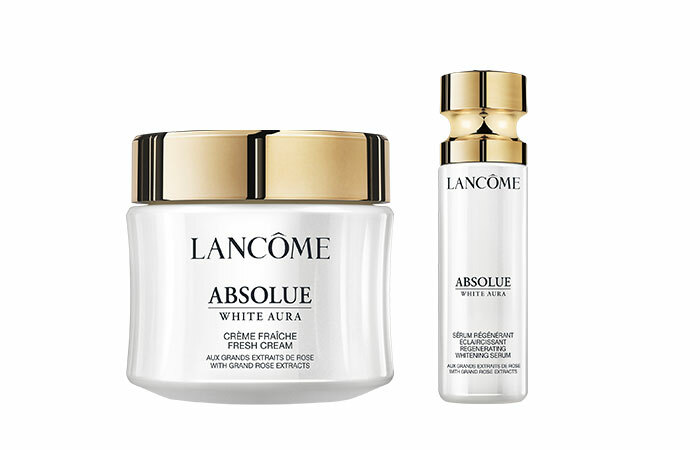 The Absolue White Aura series from Lancome gets an upgrade for even better performance to make your skin glow luminously. This whitening skincare range is what you need to restore youthfulness and radiance to your dull and tired skin. Their signature ingredient, the Grand Rose Extracts is said to help skin regenerate in as fast as three weeks. On top of the exquisite blend of ingredients that treat dark spots, the products brighten and whiten your complexion with their fresh gel-like texture that feels comfortable on skin. 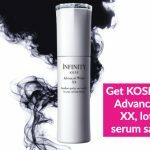 For those who have serious dark spot concerns, the Regenerating Whitening Serum is the intensive treatment that can help specifically target at this problem. 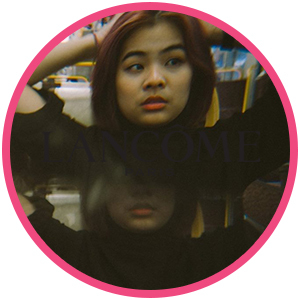 The Regenerating Brightening Fresh Cream (SGD450) and Regenerating Whitening Serum (SGD420) will be available at all Lancome counters from 1 May. Think spring and fresh blooming flowers come to mind. If you’re looking for a fragrance that represents this season best, then the Dolce Peony Eau de Parfum by Dolce&Gabbana Beauty is probably it. This fragrance is inspired by the queen of flowers – the peony flower – which is a symbol of positive energy. Sometimes tied with oriental culture, it also symbolises luck, health and wealth. 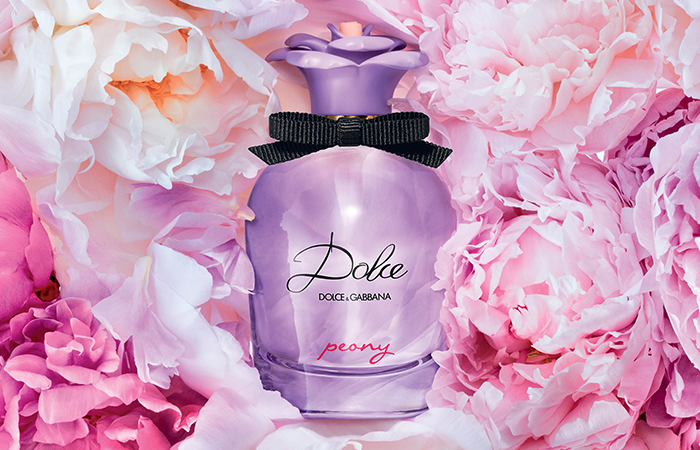 Deliciously feminine with abundant and colourful notes, Dolce Peony brings lively positivity in a bottle fragrance smelling like nashi pear, woody patchouli combined with floral notes of peony. Top notes include fresh scents of Pink pepper, Bergamot, Nashi pear, Peony, Bulgarian rose, Freesia in the heart and Yellow plum nectar, Woody amber in the base. The Dolce&Gabbana Beauty Peony Eau de Parfum retails at SGD 110 and is available at Sephora outlets and all major department stores. A perennial favourite on the runway, coral-tone lipsticks are a must-have in our beauty stash. This lip colour flatters our complexion and gives an energetic touch to our overall look. 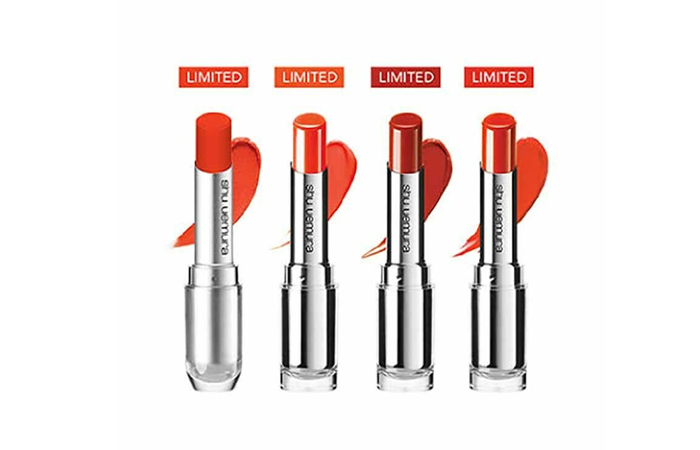 If you’ve been looking for coral lipsticks, you’d be happy to know that Shu Uemura will be launching four new limited edition Rouge Unlimited lipstick shades, spanning from peachy orange to sun-dried red. 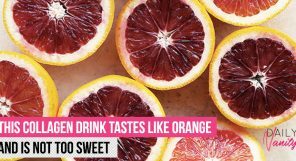 From fresh and casual reds to bright and energetic corals, there’s surely something for everyone! 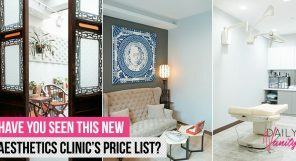 The colour that is likely to be most popular? The matte M OR592, a “blood orange” shade that perfectly embodies the warm, bold and vibrant image this season. 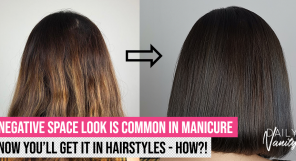 We think it’s perfect for a fun and flirty look without looking over the top. Each Rouge Unlimited lipstick retails at SGD38, available at all Shu Uemura stores from 1 April. 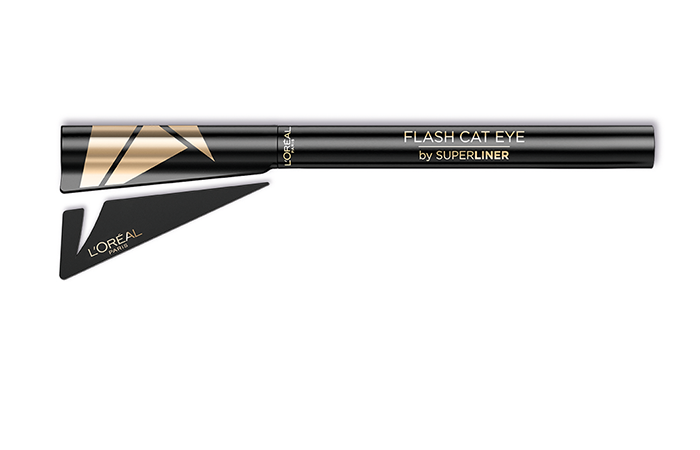 If you’ve always had trouble getting the perfect winged eyeliner, try the new L’Oréal Paris Flash Cat Eye that comes with a detachable stencil, allowing you to design your wings the way you want with ease. 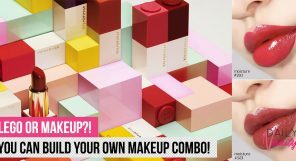 Whether you’re in a rush or switching from a day to night look, this eyeliner will give you more control to nail the perfect symmetrical line. What’s more, the smudge-proof and waterproof formula will keep that perfect liner you drew on fleek the entire day! The L’Oréal Paris Flash Cat Eyeliner is priced at SGD22.90 and is available at major department stores, drugstores, Fairprice, Qoo10, and Welcia and Shopee. 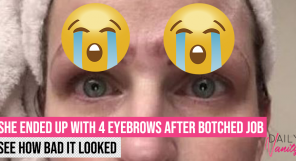 How to make your cat eyes look even better? Pair them with cat lashes. The new Burberry Cat Lashes Ultra Black mascara helps create a bold, impactful, and fanned out lashes effect, with intense volume for a cat-eye look. Weightless and long-lasting, the mascara is infused with carbon black pigments to give the darkest ink-like intensity to create a fuller looking lash line. We like the hourglass-shaped brush that makes application easy and clump-free. 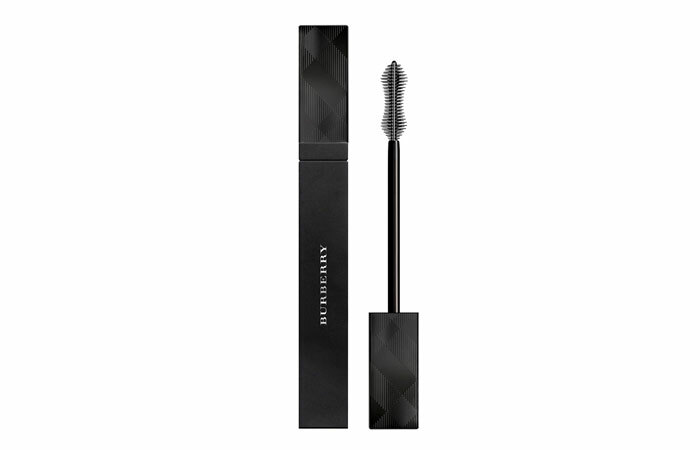 Burberry Cat Lashes Ultra Black Mascara retails at SGD52 and is available in Sephora.